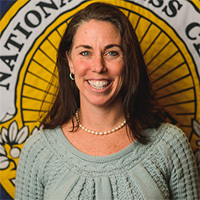 Alison Fitzgerald Kodjak, health policy correspondent on NPR's Science Desk, is the 112th president of the National Press Club. Her work focuses on the business and politics of health care and how those forces flow through to the general public. Her stories about the Affordable Care Act, drug prices, limits on insurance and changes in Medicare and Medicaid appear on all of NPR's shows and in the Shots blog. She spent two years at the Center for Public Integrity, leading projects in financial, telecom, and political reporting. Her first project at the Center, "After the Meltdown," was honored with the 2014 George Polk Award for business reporting and the Society of Professional Journalists Sigma Delta Chi award. She's a graduate of Georgetown University and Northwestern University's Medill School of Journalism. She lives in Takoma Park MD with her husband and three children.